← Leadville training weeks ? The question has come up lately about whether or not to stop your watch during a workout. For instance at a rest stop during a bike ride do you stop your watch? Or at a stop light while running do you stop your watch? I do not to stop my watch. I figure if you are stopped, you get to rest a bit which means that you can ride/ run harder when you get going again. The more you stop the easier the “moving” part of the workout is. So stopping your watch you are really not getting as accurate a pace as you might otherwise have if you were to be moving without stopping. Not only that there is the problem of forgetting to restart it. Tonight I went for a run and I thought what the heck let me try stopping the watch at redlights. Sure enough the first redlight I come to I stop the watch and forget to restart it…. ugh. Luckily I hit another redlight and realized I had not started the watch again. Lesson learned.. just keep the watch going. What do you think ? Keep it going or stop it. After weekend ride. 105 miles done! I saved my run and my blood sugar with a couple of blocks. I had been proud of myself because I had remembered to reduce my basil an hour before i left for the run. But still it dropped about 20 minutes or so in… grrrr. I feel like I tell my dex to shut up a lot. It plays an annoying tune with my blood sugar is rising fast or falling fast. 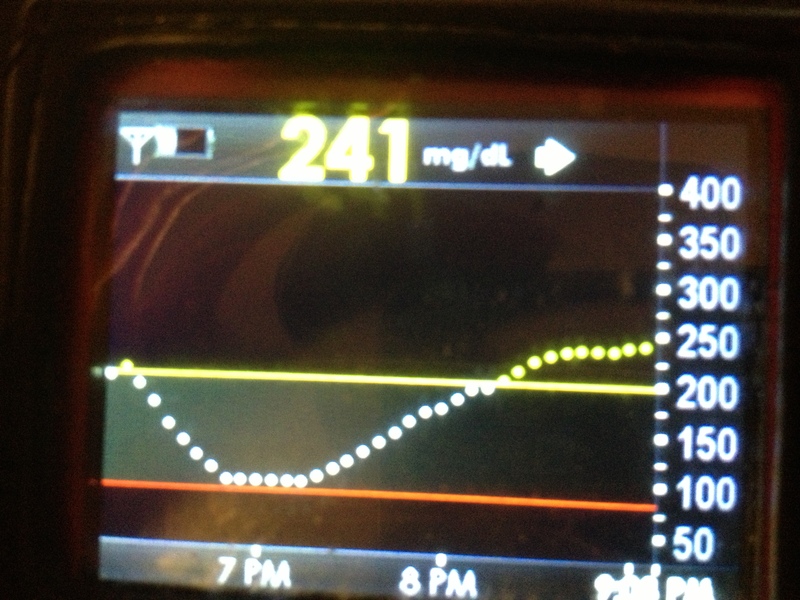 The blood sugar roller coaster. Speaking of blocks I have a terrible habit (ask Tom) of starting to new pack of blocks every workout so I end up with several packs of opened blocks with 2-3 left in it. 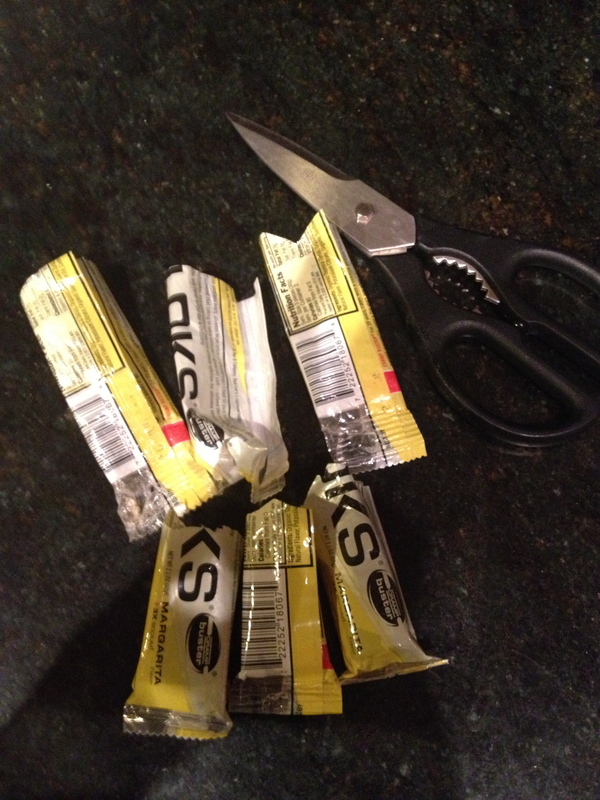 So tonight I cut the ends off 3 packs and put them in my pocket. I still didn’t manage to finish 1 of them and now have 3 open packs with 1-2 left….Am I the only one who does this? 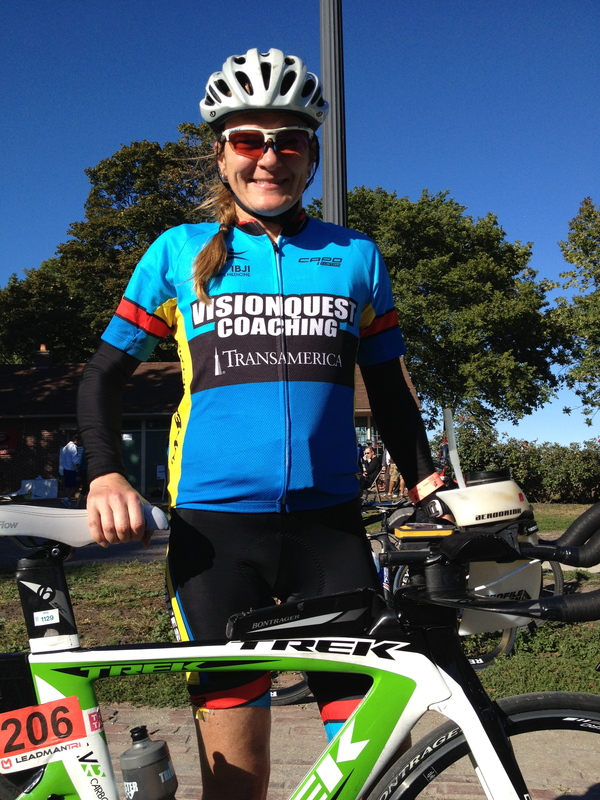 This entry was posted in Coaching, Ironman Arizona Training, Motivation and tagged blood glucose, dexcom, diabetes, Endurance, ironman, living with diabetes, triathlon. Bookmark the permalink. Re: stopping my watch… only when I think I’m done for the day. Then almost immediately after I do that, I find I have a few more miles left in the tank! So I am stuck with a “mostly accurate” number. What’s most frustrating is forgetting to re-start my watch at those times. Interesting you should mention the 20 mile run followed by a half mile swim. I did that just last weekend, though I didn’t add the bike ride to it, as I was running out of sunlight (I’m not fast). The next day I tried to get in a quick 10K but my calves wouldn’t let me, and I felt like crap, slightly feverish. I hate it when you have to wait for recovery to kick in! 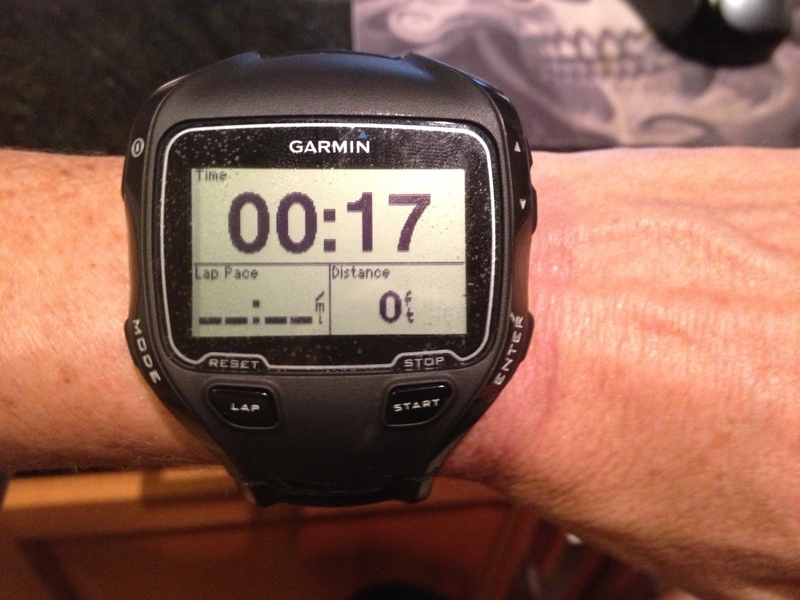 On the BG stuff–seems like I always go low in the first 2 miles. It’s so hard, though, to fuel for what you’re going to burn in 30 minutes or so… and I hate going high. Re: shot blocks, can’t help you here. I use honey stingers, mostly because they’re waterproof and runny, which is good for me for tri practices. What do you reduce your basal to? Just curious… for a long run I set to 50%. My bike ride was the next day. I reduce to 60% which usually works it really depends on when I’m doing the run… if its after a long bike it can go as low as 20%. Now that I’m training pretty hard my sensitivity on the run is definitely high. I think i may have had some IOB which of course I didn’t check before i left. Shot blocks always help me 🙂 I use them all the time. My calves were definitely sore on my warm up!